I am interested in architecture and foundations, as well as stories of resilience and rituals of release. 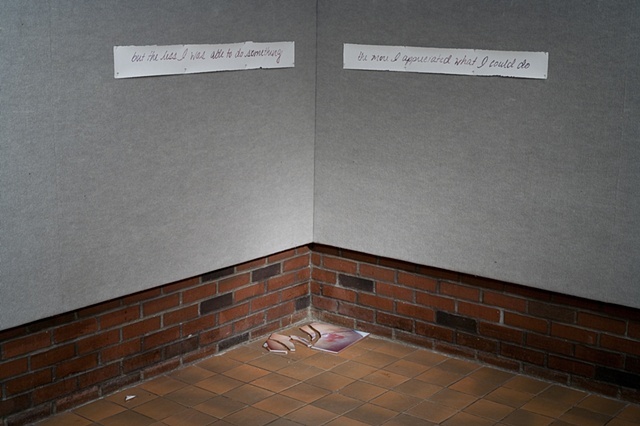 For my 2008 solo exhibition at the University of Maine at Augusta (UMA), I wanted to address these ideas while activating each of the corners of the gallery space. 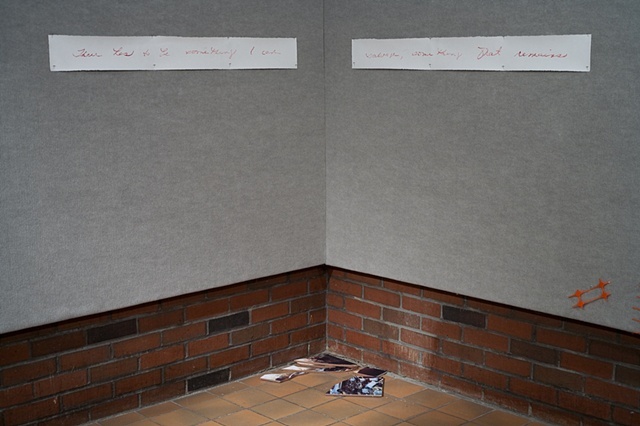 I invited four members of the UMA community to participate in a photo-text installation. I asked them to remember a very difficult time in their lives. I encouraged them to handwrite some thoughts about that time in their life, what they felt and how they responded to the challenges. A portion of these texts were then scanned. I also asked them to let me borrow and scan a photograph from that same time period. The image did not necessarily have to illustrate the difficulty they had encountered. It simply needed to have a temporal connection to that moment. A single compelling line was chosen from each of their written comments and painted onto paper in the manner of their handwriting. 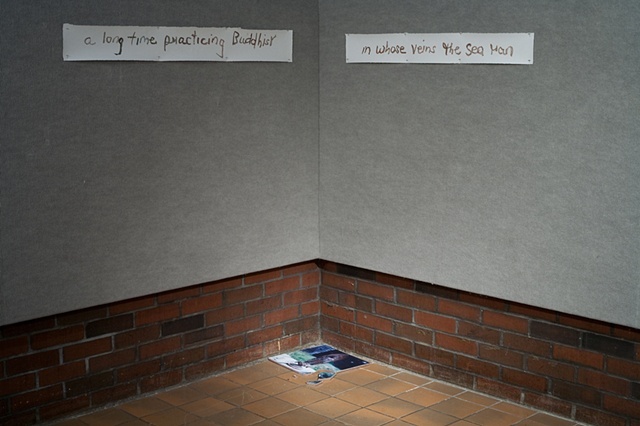 These texts were then installed on the walls abutting the corners of the gallery, one story per corner. 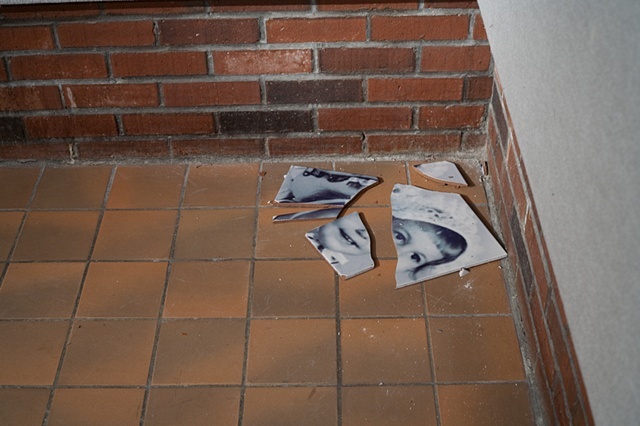 Their digitized photos were turned into photo tiles. 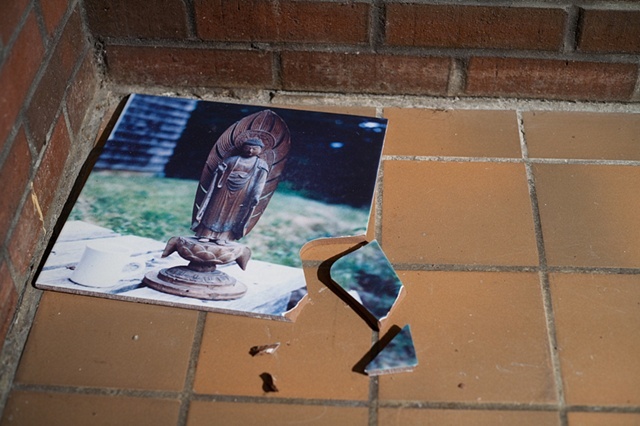 The day before the exhibition opened, each participant was invited to ritually drop and break their tile in their respective corner of the gallery. Each tile broke uniquely, some more fragmented than others. 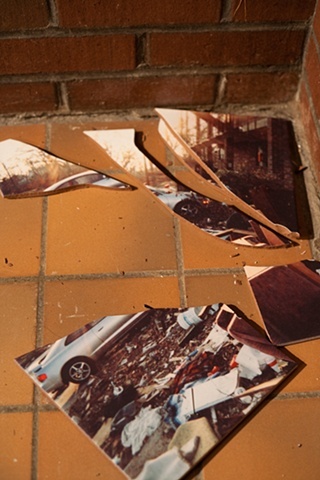 The broken tiles and accompanying text fragments then remained installed for the length of the exhibition. 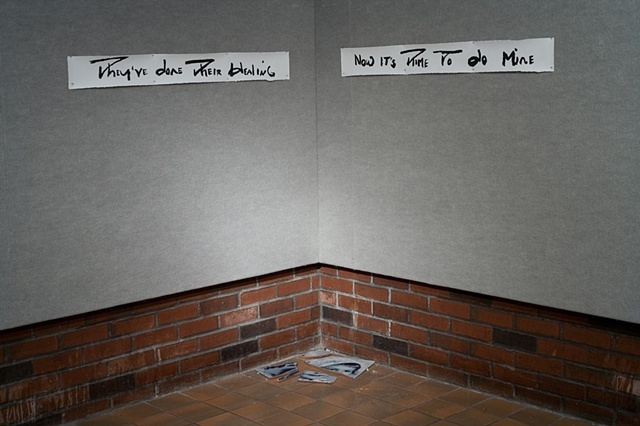 When the exhibition ended, the participants were invited to remove their images and words and do with them as they pleased.